We examine how two of the UK's powerhouse creative industries will fare after Brexit. On 23 June 2016, the UK voted in favour of leaving the European Union and putting restrictions on the free movement of EU citizens into the country. While Parliament is currently collating its report from an inquiry on ‘The impact of Brexit on the creative industries, tourism and the digital single market inquiry’, some are already considering the effects that Brexit will have on the VFX and CG industries. According to the Creative Industries Federation (CIF), the creative sector makes £87bn a year that would be at risk if we were to restrict immigration and movement, due to the industry’s heavy reliance on freelance staff, many of whom are from the EU. A survey of 250 firms conducted by the CIF found that three quarters of companies employed EU workers and two-thirds said they could not fill those jobs with British recruits. With the potential restriction of talent from EU countries, the visual effects and animation industry in the UK will undoubtedly be heavily affected. UK & Ireland is also currently the largest market for animation in the EU with average 30.5 million admissions between 2010 and 2014. According to Creative Skillset, employment in the VFX industry is expected to reach 7,600 in 2022 with the gross value of production in the UK expected to rise from to £323m by 2022. 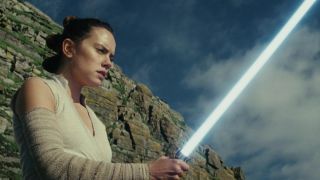 Jellyfish Pictures recently completed work on Star Wars: The Last Jedi, as well as having previously worked on Black Mirror and Rogue One. On Sky News, Manuel Reyes Halaby, a computer graphics supervisor, said that the uncertainty over his immigration status has made him consider other options. While the UK is currently a global powerhouse for visual effects, if the talent from the rest of the continent cannot live and work in the country, then they will simply look for opportunities elsewhere and take the quality of work with them. At Vertex 2018, Digital Domain cofounder and industry veteran Scott Ross will discuss British VFX after Brexit with 3D World Editor Rob Redman. Ross will offer up his insights into the way studios are managed, people/talent are recruited, trained, cared for, as well as the logistics of modern VFX houses. He will look at what is considered to be a threat: the workforce, which is historically a migratory one and how non-UK nationals might find that they are just as able to work for the big studios as they do now but also how a non-EU based trade deal could open up opportunities for other partnerships. Listen to his expert views at the Olympia, London on 13 March. Book your ticket now at vertexconf.com, where you can find out more about the other amazing speakers, workshops, recruitment fair, networking event, expo and more.